elements to suit the applications. elements as per customers' specific demands. Applications: Additional thickness covers more thread length effecting better clamping. 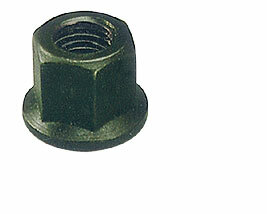 Flat end used along with plain washer; spherical end used along with conical-seat washer. 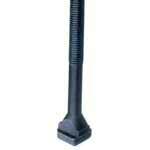 Material: Medium carbon steel, hardened and tempered to 24-32 HRC hardness, chemically blackened. Applications: Extra height covers more number of threads effecting better clamping. Built-in washer provides even force distribution. Applications: Used as a coupler to join two studs for increasing clamping height. Applications: For use along with studs for work-holding , fixtures, etc. Applications: Clamping work / Fixtures / Press Tools. Material: Low Carbon Steel; Case Hardened to 25-32 HRC; Chemically Blackened. Applications: Spacer for easy removal / insertion in clamping system. Material: Case Hardened to 25-32 HRC; Blackened. Applications: In designing jigs, fixtures as clamping systems. Material: Medium Carbon Steel; Blackened. Applications: For counter-supporting of clamps. Desired height achievable by side swinging of plate. Beyond range height can be built up by keeping one block above the other. 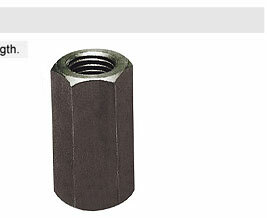 Material: Investment Casting/En-8; Heat-Treated; Blackened. Applications: Supporting block on machines while clamping work-piece. 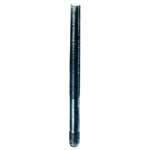 Material: Hardened & Tempered Steel; Chemically Blackened. Applications: On machines for work holding in combination with universal serrated blocks (Type T3-USB) for instant height adjustment. 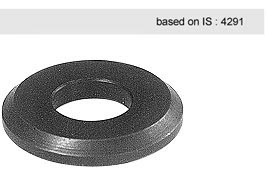 Material for Type T2P-C9SF: AISI-4140/En-19, Heat treated to 10.9 Grade; 32-38 HRC Hardness, Chemically Blackened. 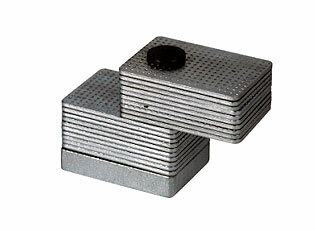 Material for Type T2P-CSAF: C-45/En-9, Heat treated to 8.8 Grade; 24-30 HRC Hardness, Chemically Blackened.